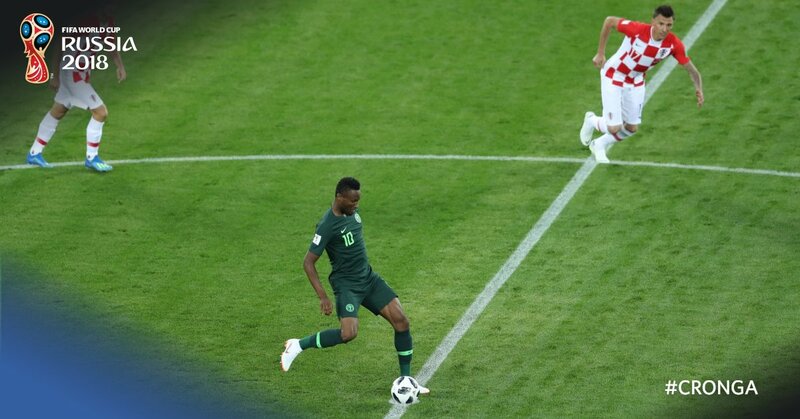 Super Eagles of Nigeria commenced their 2018 World Cup campaign on a shaky note after they lost 2-0 to Croatia on Saturday at the Kaliningrad Stadium. An own goal from Oghenehkaro Etebo gave Croatia the lead in the 32nd minutes before Real Madrid midfielder, Luka Modric increased their tally in the 72nd minutes via a penalty after William Troost-Ekong fouled Mandzukic in the centre box. The defeat means the Super Eagles have a mountain to climb as they face Iceland on Friday in Group D second match. Nigeria must win the encounter in order to stand a chance of qualifying from the group, considering the fact that they will face Argentina in their last match. In the other fixture, Croatia will confront Argentina in their second match on Friday.